The GPS system uses the U.S. Department of Defense’s Global Positioning Satellites, the same network that oversees our nation’s safety day and night. A real time monitoring system to ensure continuous operation supports this system. Never before has the tracking of offenders been as advanced and effective as with active GPS tracking. Not only can you establish multiple INCLUSION ZONES to ensure that the offender is at a particular location for certain time periods (e.g. home, work, school), you can also establish EXCLUSION ZONES for areas you want the offender to avoid. Our Monitoring Center can watch an offender’s movements on the screen as they occur. Along with the GPS receiver incorporated into the unit, there is also a cellular receiver which allows the device to communicate instantly without relying on the availability of a land line. In the event a victim wants to be notified of an offender’s entry into an exclusion zone, we can program our software to notify the victim via text message of any exclusion zone violation. 3M™One-Piece GPS Offender Tracking System integrates tracking, communication and mapping technologies. Operators can efficiently track offenders virtually anywhere, anytime, at varying levels of intensity through a single, compact body-worn unit. 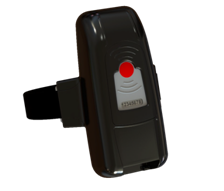 The system features the ability to define inclusion and exclusion zones, animated and birds-eye-view mapping and the convenience of an offender wearing just one device on the leg. The system communicates certain events to the offender through vibrations and LED lights. 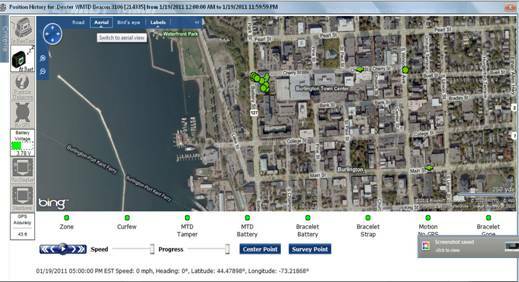 One-Piece GPS Offender Tracking System integrates tracking, communication and mapping technologies. Operators can efficiently track offenders virtually anywhere, anytime, at varying levels of intensity through a single, compact body-worn unit. 3M™One-Piece GPS Offender Tracking System features full house arrest supervision and will report technical events or violations of schedule restrictions, enabling agencies to apply home curfew restrictions in line with their program. Victims are notified of exclusion zone violations. If the offender allows the battery on the tracking device to die, or if the offender removes the device from their ankle.